The persecution comes largely from the government, however, while the people of Iran are more likely to be open and relaxed toward Christianity, Windsor said. “Some people joke that the Ayatollahs are the greatest evangelists for Christianity because of the fact that Iranians look at the kind of Islam that the Iranian regime propagates and say, ‘If that is Islam, then I am not interested,’ and then start searching for something that is better, that is true,” Windsor said. Also, he said, some suggest that Iranians don’t like to be told what books they can and can’t read. As in Psalm 2, Windsor said, God laughs at the nations that set themselves up against Him. Fadaei was part of a group of four Christians handed 10-year prison sentences in June 2017 for “propagating house churches” and promoting “Zionist Christianity,” according to CSW. 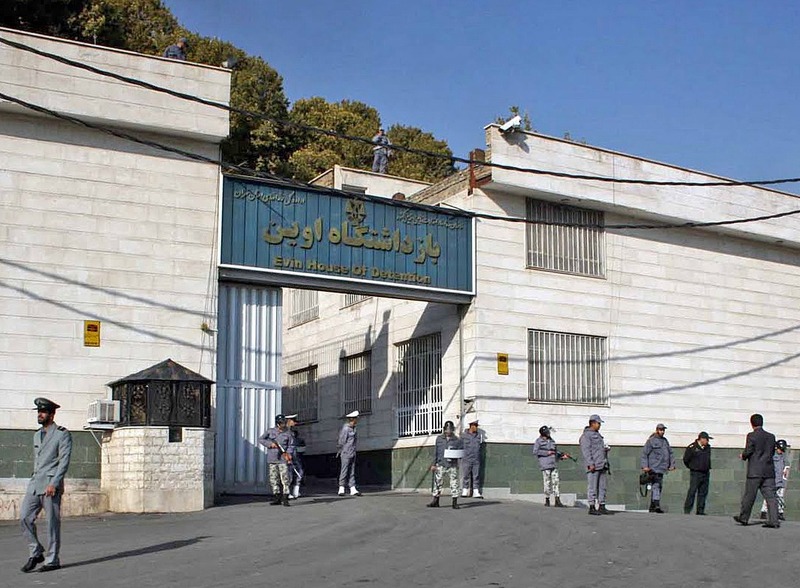 After being arrested in one of a series of raids in the northern city of Rasht on May 13, 2016, he was sentenced along with pastor Yousef Nadarkhani and deacons Mohammadreza Omidi and Yasser Mossayebzadeh. 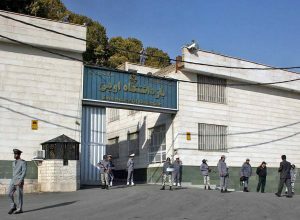 The court deemed their religious activity as “acting against national security” according to the verdict issued on June 24, 2017 at the 26th Branch of the Revolutionary Court in Tehran under Judge Ahmedzadeh. Judge Ahmedzadeh has handed out 5-to-10-year sentences to at least 16 other Christians, according to Article 18, an organization that advocates for Christians in Iran. Their appeals were upheld in May. Whereas sentences before would have been only up to five years, Windsor said, sentences by Judge Amadzadeh have been much harsher, often 10 and sometimes 15 years. Even a one-year sentence, however, is too much, he said. Other recent actions by the government have been seen as an attempt to intimidate local Christians. In a more unusual move earlier this year, Pastor Nadarkhani, a convert from Islam, was violently arrested. On July 22, while waiting for a summons to begin his 10-year sentence, 10 police officers arrived at the house of Pastor Nadarkhani and physically assaulted him and his son during the arrest, according to advocates and local reports. Police smashed the front door of his home, punched him and his teenage son Daniel and used electrical batons on them, even though they did not resist, according to CSW. His wife and other children were at the home at the time. Deacons Mossayebzadeh, Omidi and Fadaie were arrested from their homes days later. 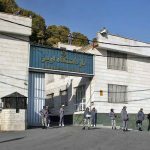 Last month, Amnesty International appealed on behalf of a different group from Tehran who are waiting on bail after receiving sentences ranging from 5 to 15 years. Pastor Victor Bet-Tamraz, Hadi Asgari and Kaviyan Fallah-Mohammadi, who had been arrested at a Christmas gathering in 2014, were given 10-year sentences by Judge Ahmadzadeh in July 2017, on a charge of “acting against national security by forming home churches, attending seminars abroad and proselytizing Zionist Christianity,” according to Mohabat news. Charged with them was Amin Afshar-Naderi, who had been arrested August 2017 in Firuzkuh, Tehran Province. He was also charged with “insulting the sacred” for a comedic Facebook re-post that used Quranic letters to make fun of the rising prices of chicken in Iran, according to the Aug. 23 notice by Amnesty International. Naderi went on hunger strike last year to protest the harsh sentences on Christians, along with the poor treatment that these prisoners often receive while they are in custody. The abuse includes being held without charges, detained for long periods without trial and prolonged isolation and interrogation, which advocates say is meant to intimidate underground Christians. In January, Bet-Tamraz’ wife, Shamiram Issavi, was also given a sentence of five years for “acting against national security” and “training leaders to act against the regime,” Windsor said. Their son was given a sentence of four months for “propaganda against the state” in July. While the others are Christian converts, Bet Tamraz and his family are Assyrian Christians, who, along with other ethnic Christians born into the faith, are legally allowed to practice their faith, but only among other ethnic Christians and not among converts from Islam, Windsor said. Bet-Tamraz headed the last Persian-language church in Iran, the Pentecostal Assyrian church in Tehran, before it was closed down by local authorities in March 2009, according to Mohabat news. Three of four Christians given 10-year sentences in July 2017 for “illegal gathering and collusion against regime for evangelism” forfeited their bail and returned to their native country, the Republic of Azerbaijan, according to Windsor. Nasser Navard Goltape, of Iran, and Yusif Farhadov, Eldar Gurbanov and Bahram Nasibov of Azerbaijan was sentenced to 10 years for missionary activities which were deemed threats to national security after being arrested in June 2016, according to CSW. They were released on bail on Oct. 29, 2016, and the three Azeris were allowed to return to their country on Nov. 7, 2016, having paid the full bail amount of US$35,000 each.